Toy makers Super 7 always have some of the most unique, must have items. They're simple, but every time I see a new one I'm ready to sell one of my kidneys online. Check out this guy called "Little Prick." 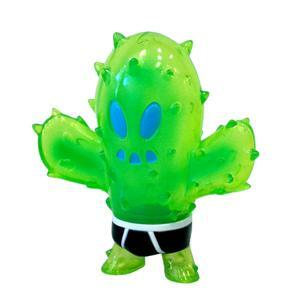 He's a mini cactus dude with a love for under pants and giving bear hugs that hurt. For only $35, how could you say no? Check out the Super 7 site if you're not familiar with their work, because once you see it, you'll have to own every piece.